I need to go to work as a nurse how about you see your friends! Hi ben! Whats that in the distance! Eh! its probobly some stupid thing. 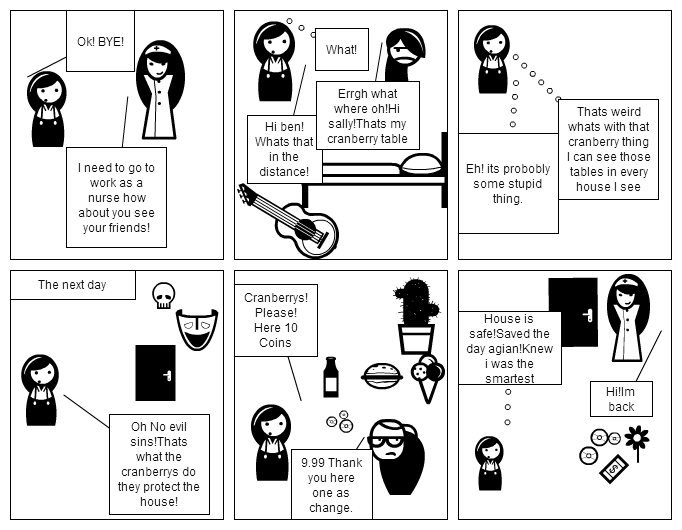 Oh No evil sins!Thats what the cranberrys do they protect the house! 9.99 Thank you here one as change.